(TRAVPR.COM) UK - November 20th, 2013 - Scenic Tours has had a fantastic year so far, winning plenty of awards, receiving exceptional reviews and announcing big plans for tours and river cruises in 2014. Firstly, Scenic Tours is taking bookings for its brand new river cruise in France next year; the Gems of the Seine river cruise travels to Paris, Rouen and the beautiful port of Honfleur over 11 days - something which no other river cruise line can offer. Secondly, the luxury travel specialists have extended their range of Australia tours to include far-flung reaches of the country, with options such as the Top End and Kimberley tour and the Ultimate Tasmania tour now available. Finally, awards have been flooding in for Scenic Tours over the course of this year, including the Best Small Holiday Company for Escorted Tours, the Best Small Holiday Company to Australasia and the Silver for Best River Cruise Line prizes at the British Travel Awards 2013. They also came away with the accolade of Australasia's Leading Tour Operator at the 2013 World Travel Awards, and have even been nominated for the World's Leading Tour Operator award, which is yet to be decided. 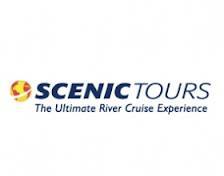 Find out more about Scenic Tours and all they do to provide the best river cruise and touring experiences year after year by visiting their website today, www.scenictours.co.uk.